The ultimate choice for women who want comfort and flexibility when expressing milk, is the Lansinoh® 2-in-1 Double Electric Breast Pump which features 3 pumping styles and 8 customisable suction levels. The Double Electric Breast Pump is perfect for mothers who will be away from their babies for sustained periods of time. Both breasts can be pumped simultaneously which is a great time saver and the pump’s simple, clean design with its hygienically closed system, prevents milk entering the tubing. 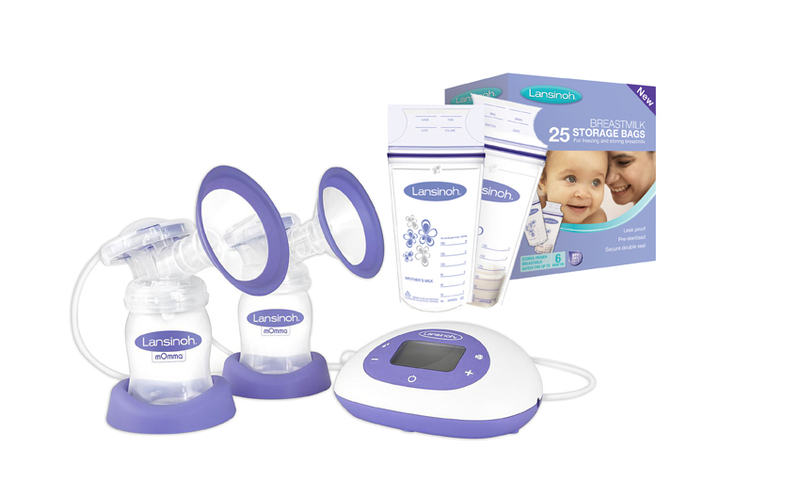 The Lansinoh® 2-in-1 Double Electric Breast Pump has 2 Phase Technology with a let-down button to change between phases and has ComfortFit™ Breast Cushions. The pump is mains or battery operated and features an LCD display that tracks suction and phase setting. Once breastmilk is expressed, it then needs to be stored. The Lansinoh® pre-sterilized and leak proof Breastmilk Storage Bags are strong and durable, allowing for safe storage of breastmilk in the fridge or freezer. The food-safe, polyethene storage bag is designed to allow for either upright or flat storage and has a convenient write-on tab above the fill area. The storage bags have double-seal side seams and gusseted bases which prevent any leakage. The Lansinoh® Breast milk Storage Bags have a tamper-evident, tear away top with a double zipper for a secure seal and features a handy pour spout for easy transfer of breastmilk. Both products are available from UPD, Topmed, Transpharm and Pharmed.